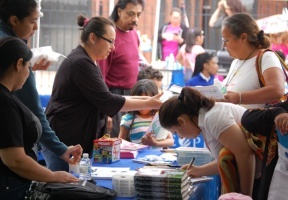 Residents of Chicago’s South Lawndale/Little Village community will be able to access free resources and information during a Community Wellness Fair and Back-to-School Block Party organized by Erie Neighborhood House. The event is scheduled for Saturday, August 18, from 10a.m., to 2p.m., on the 4200 block of W 25th Street (between S Keeler Ave and S Kildare Ave); admission is free. Kids will enjoy a bounce house, face painting and other fun games and activities to promote wellness. In addition, backpacks and school supplies will be distributed to attendees thanks to a generous gift from the James F. Mikulski Memorial Group. For more information about the Community Wellness Fair and Back-to-School Block Party or to become a vendor at the event, please visit www.eriehouse.org/wellnessfair.